I still use a DSMC1 DRAGON 6k. I shot this commercial , JOYA CIGARS, a couple of weeks ago, it still is an amazing sensor! i just bought the dragon x came in the mail yesterday . i'm having a issue using the compression rates in 5k can someone tell me whats the best with out killing my card in 10 seconds . i wanna shoot 5k full format i guess thats full sensor ? For a 5k dragon you should be somewhere between 5:1 and 10:1 compression for optimal quality. You can go higher, but it will make your footage noisier and will make color correcting more difficult. What size cards do you have? RED EPIC DRAGON #03179 "Squillium the Dragon"
"Perfection is the goal, excellence is the standard." 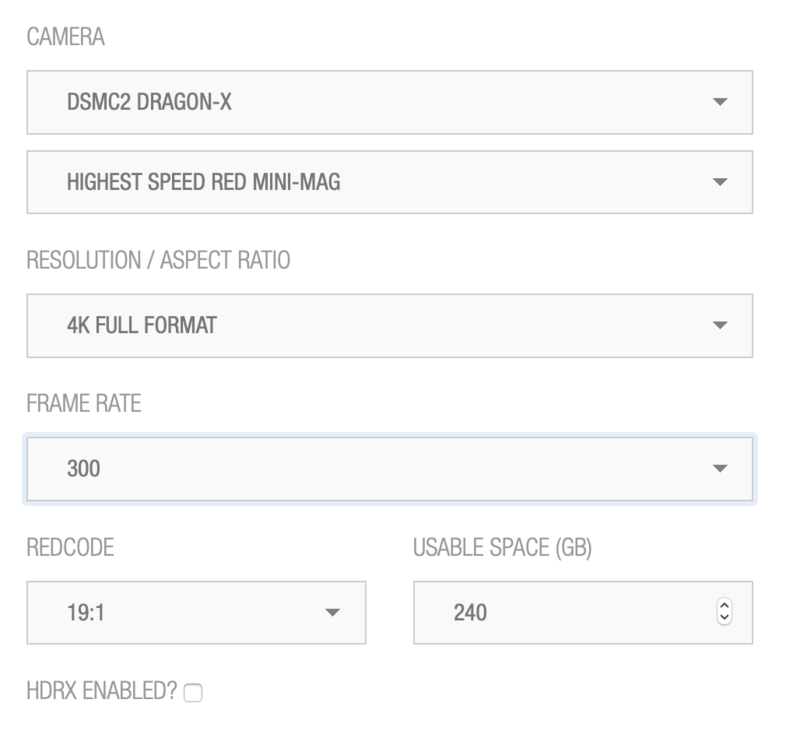 7:1 & 8:1 are really enough on Dragon 5k sensor. I have 2x 120gb cards, and I never had any issues on card space. 13:1 like on the above video and you will loose sharpness. I think I found a mistake on the Red Data Rate calculator. But would be nice if the Dragon-X can do that kind of magic.